Samuel Herbert Cohen, barrister and politician, was born at Bankstown, New South Wales, on 26 October 1918, eldest son of Max Lazarus Cohen, a tailor’s cutter, and Fanny Dinah, née Fagelman, of Sydney. Sam’s parents were Russian Jews who had migrated to Australia as children. His father worked briefly as a tailor and draper in the country town of Griffith, and then joined Beaurepaire Tyre Service Pty Ltd as a salesman, dying prematurely in 1937. His mother worked until her later years as an examiner in a factory, and as a part-time translator. The family moved to Melbourne when Sam was seven years old. As a boy soprano in the choir of the St Kilda synagogue, Sam developed a lifelong friendship with another member of the choir, future Governor-General, Zelman Cowen. Dux of Elwood Central School, Cohen proceeded, via scholarships, to Wesley College, then to Queen’s College at the University of Melbourne, where he was active in student politics. Sam became president of the Students’ Representative Council and a member of the National Union of Australian University Students, and was a performer in student theatre. He graduated as Bachelor of Arts in 1940, Bachelor of Laws in 1941, and Master of Laws in 1942. On 11 May 1942 he enlisted in the Citizen Military Forces and was discharged with the rank of sergeant, on 29 April 1943, to serve on the staff of Colonel Alfred Conlon in the Army Land Headquarters Research Section. From May 1943 to August 1945 he worked with the newly established Universities Commission in Sydney. Cohen was called to the Victorian Bar in March 1946. His early practice was in commercial and common law, where he was a leader in opening up common law claims for workers’ compensation. He became a specialist in industrial law, working closely with Clyde Holding (later MHR for Melbourne Ports from 1977 to 1998). Cohen became a QC in September 1961. On 3 May 1953 he had married Judith Jacqueline Selig, a solicitor, at the Great Synagogue in Sydney. Cohen had become interested in politics at an early age. His mother instilled in him a concern for the underprivileged, taught him never to forsake his principles for worldly gain, and gave her son ‘a flintlike backbone of deeply ingrained conviction’. Cohen’s political views were shaped by the Depression, the Spanish Civil War, and the rise of fascism in Europe. He was determined to struggle against the revival of Nazism and anti-Semitism. Cohen was a founding member of the Jewish Council to Combat Fascism and Anti-Semitism, and served as president from 1957 until 1962. The council lost support in the Jewish community during the Cold War, due to a perceived left-wing bias, and its reluctance to condemn anti-Semitism in the Soviet Union. Cohen held a number of other posts in the Jewish community, including serving as chairman of the public relations committee of the Victorian Jewish Board of Deputies, secretary of the first United Israel Appeal and vice-president of the Victorian Friends of the Hebrew University of Jerusalem. He was closely associated with the Jewish Welfare Society and the Montefiore Homes for the Aged. Cohen joined the ALP’s Toorak branch in 1946, and was later president of the North Kew branch. From 1961 he was a member of the Victorian Central Executive (VCE), which was at that time dominated by its left wing. He would chair the VCE’s legal committee, civil liberties committee and law reform committee. In 1961 he was preselected in second place on the ALP’s Senate ticket. This became the subject of controversy, due to his selection over Maurice Ashkanasy, QC, who had been a Senate candidate in 1958. Ashkanasy, a prominent and controversial figure in the Jewish community, had consistently opposed the activities of the Jewish Council. An anonymous pamphlet, which was circulated to ALP branches and unions and claimed that the Jewish Council was a communist front, labelled Cohen a ‘fellow-traveller’ and urged his removal from the ticket. In the federal Parliament, the Treasurer of the Liberal–Country Party Coalition Government, Harold Holt, repeated these allegations. Cohen was defended staunchly by the ALP’s federal Leader of the Opposition, Arthur Calwell, and was elected as a senator for Victoria on 9 December 1961. 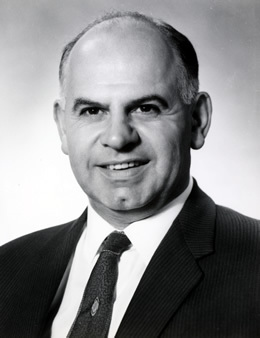 The first Jew to be elected to the Senate, Cohen took his seat on 1 July 1962, and in February 1967 was elected Deputy Opposition Leader in the Senate. His principal contributions in the Senate were made in three areas: international peace, human rights and education. In the Senate, Cohen argued eloquently for international peace and cooperation through constructive relationships and agreements. He emphasised the ALP’s support for the United Nations, and called for the southern hemisphere to be made a nuclear-free zone. He advocated not only that Australia should recognise communist China, but that Australia should support China’s admission to the United Nations. He was a forceful advocate of human rights. He opposed the death penalty in Australia, arguing that it was barbaric and degrading, and that it failed to serve as a deterrent to serious crime. He condemned racial discrimination, whether against Aboriginals in Australia or blacks in South Africa, and opposed the suppression of native land rights by Australian mining companies in Papua and New Guinea. Despite his passion for human rights, Cohen failed to support the proposal made in October 1962 by William Haworth, Liberal MHR for Isaacs (1949–69), to raise the question of Soviet anti-Semitism at the United Nations. Some Liberal parliamentarians had not forgotten the furore over Cohen’s preselection and, according to journalist Alan Reid, were keen to try and create problems for Cohen on the subject of Russian anti-Semitism. There was also a desire to exploit divisions between Cohen and Syd Einfeld, Labor MHR for Phillip (1961–63), and president of the Executive Council of Australian Jewry, who had strongly supported action on behalf of Russian Jews. The Liberal Party’s Senator Hannan, known for his vehement anti-communism, began the debate in the Senate by detailing instances of the persecution of the Jews in the USSR. In ‘an emotionally charged and heated atmosphere’, Cohen’s subsequent speech was interrupted by the suspension of Labor’s Senator Hendrickson, who had accused Hannan of supporting Nazism. In his passionate address, Cohen rejected many of Hannan’s allegations as ‘outlandish, absurd and exaggerated’. While condemning specific instances of anti-Semitism in the Soviet Union, Cohen argued that Jewish citizens in the USSR did in fact enjoy equal rights. He alleged that the Government’s proposal was unbalanced and merely intended to make ‘a political football out of human suffering’. Repeating his belief in peaceful coexistence between the West and the Soviet Union, he argued that the interests of Soviet Jewry would be best served, not by the United Nations issuing ‘blood-curdling resolutions’, but by rapprochement between Soviet and Western Jewry. Cohen’s speech was excoriated in the Australian Jewish Herald, and he was criticised severely by the Victorian Jewish Board of Deputies, relations between the Victorian ALP and the Jewish community suffering in consequence. He had seriously underestimated the extent, nature and seriousness of anti-Semitism in the USSR. Although there is little doubt that the Government’s promotion of Haworth’s proposal was aimed at embarrassing Cohen and the ALP, it should still have been possible for Cohen to defend the human rights of Soviet Jews, irrespective of whether or not he supported bringing the matter before the United Nations. In later years, Cohen did speak out on behalf of Soviet Jewry. Cohen was a vigorous opponent of Australia’s involvement in the Vietnam War. As early as 1964, he emphasised that the Vietnam conflict could not be solved by military methods, arguing for the implementation of such social, political and economic reforms as would promote popular support for the non-communist regime. He opposed the commitment of Australian troops to the Vietnam conflict, especially the inclusion of conscripts, whom he described as the ‘voteless youths … of 20 years’, and he criticised the jailing of young Australians who had refused to serve in Vietnam. On education, Cohen consistently argued that the Commonwealth should accept a measure of responsibility for all schools, not only in respect to universities. In his first speech, delivered on 22 August 1962, he called on the Commonwealth Government to extend grants to the states to cover secondary, technical and primary education. Cohen advocated a national committee of inquiry into primary, secondary and technical education. He identified a number of deficiencies in the education system. These included the shortage of qualified teachers, the lack of adequate accommodation, equipment and facilities, the inequality of educational opportunity for children from poorer backgrounds, the movement of many of Australia’s best university graduates overseas, the application of quotas that denied many qualified students admission to university courses, and the inadequate funding of Australia’s universities. Cohen welcomed the Liberal Government’s 1963 decision to fund science laboratories in government and non-government secondary schools. The ALP leader, Gough Whitlam, believed that Cohen played a crucial role in facilitating the historic change in ALP policy that promised Commonwealth funding to all schools on a needs basis. Cohen expressed concern that the Government was making grants on a per capita basis to rich and poor private schools alike, irrespective of needs and at the expense of state schools. As shadow minister for education, science, communications and the arts from 1967, he recommended the establishment of an Australian schools commission, which would examine and determine the needs of all school-age children and recommend Commonwealth grants on the basis of needs and priorities. Cohen’s educational proposals were later to be adopted in substance by the Whitlam Government. Cohen delivered the 1967 John Curtin Memorial Lecture at the University of Western Australia, which put forward his vision of the future of Australian education. He was appointed a member of the Council of the Australian National University in July 1968. Cohen maintained his identification with the left wing of the party. As a member of the ALP’s Federal Executive (1967–69), his refusal, with others in the party, to support Whitlam provoked the Labor leader to resign and recontest the leadership in 1968. Cohen served on various party committees, chairing those on science, and on communications and the arts. Among his parliamentary colleagues, Cohen enjoyed a reputation for courtesy and integrity. His effectiveness as Senate Deputy Opposition Leader was attributed by Senator Murphy [q.v. NSW] to his personal qualities ‘of tolerance, of fairness, and of endeavour always to persuade’. Renowned for his sense of humour, he seems to have been liked and respected by members of all political parties. Early in 1963 he visited Papua New Guinea as a member of a federal ALP delegation, and in 1968 undertook a world tour, which included visits to Israel, the United Kingdom and the USA. Sam Cohen died at the Queen Elizabeth Hospital, Woodville, South Australia, on 7 October 1969, after collapsing in Adelaide while campaigning for the House of Representatives election of 25 October. He was given a state funeral, conducted by Rabbi J. Schreiber at the Beth Nachman Synagogue in Kew, Victoria, and was buried in the Jewish section of the Melbourne General Cemetery in Carlton. Judith survived him, as did their two daughters. In 1975 Judith Cohen was appointed a Justice of the Australian Conciliation and Arbitration Commission (from 1989, the Australian Industrial Relations Commission); she was a deputy president of the commission from 1980 to 1991. Sam Cohen posthumously received the Maurice Ashkanasy award for ‘Australian Jew of the Year for 1969’, while the Senator Sam Cohen Memorial Foundation was inaugurated to commemorate the friendship that Cohen had forged between the Australian labour movement and the State of Israel. Visits to Israel by Australian trade unionists were arranged by means of an annual educational fellowship, the visitor being required to give the Sam Cohen Memorial Lecture. The first lecture of the series, which continued until 1995, was given in October 1971 by ACTU president, Bob Hawke, later Prime Minister of Australia, on the topic of ‘Masada, Moscow and Melbourne’. Julian Phillips, ‘Cohen, Samuel Herbert’, ADB, vol. 13; Zelman Cowen, A Public Life: The Memoirs of Zelman Cowen, Miegunyah Press, Carlton, Vic., 2006, pp. 41–2; Samuel Cohen Papers, MS 9846, series 2, NLA; Cohen, Samuel Herbert—Defence Service Record, B884, V66126, NAA; ALJ, 15 Mar. 1946, p. 365, 28 Feb. 1962, p. 385. Obituary of Sam Cohen by Judge Trevor Rapke, 9 Oct. 1969; Author interview with Judith Cohen and Susan Cohen (widow and daughter of Sam Cohen), 2 Oct. 1994; Sydney Jewish News, 24 Aug. 1962, p. 7; The editor is indebted to Pam Buchanek, Australian Friends of the Hebrew University Victorian Division; P. Y. Medding, From Assimilation to Group Survival: A Political and Sociological Study of an Australian Jewish Community, F. W. Cheshire, Melbourne, 1968, pp. 216–18; Philip Mendes, ‘The Jewish Council to Combat Fascism and Anti-Semitism: An Historical Reappraisal’, Journal, Australian Jewish Historical Society, Nov. 1990, pp. 160–1; Philip Mendes, ‘The Senator Sam Cohen Affair: Soviet Anti-Semitism, the ALP and the 1961 Federal Election’, Labour History: Bulletin of the Australian Society for the Study of Labour History, no. 78, May 2000, pp. 181–4; CPD, 24 Oct. 1961 (R), pp. 2406–8. CPD, 22 Aug. 1962, pp. 380–1, 18 Oct. 1966, p. 1182, 10 Oct. 1963, p. 1079, 8 Mar. 1967, pp. 360–1, 8 Nov. 1962, p. 1284, 13 Aug. 1969, pp. 62–7. CPD, 3 Oct. 1962 (R), pp. 1133–5, 18 Oct. 1962, pp. 1005–11; Medding, From Assimilation to Group Survival, pp. 223–35; Mendes, ‘The Senator Sam Cohen Affair’, pp. 186–97; Rodney Gouttman, ‘The Sam Cohen Affair: A Conspiracy?’, Journal, Australian Jewish Historical Society, Nov. 1999, pp. 69–79. CPD, 18 Aug. 1964, pp. 88–90, 6 May 1965, pp. 646–51, 23 Mar. 1966, p. 192, 21 Aug. 1969, p. 232, 27 Aug. 1969, p. 366. CPD, 22 Aug. 1962, p. 379, 29 Nov. 1962, p. 1596, 10 May 1966, p. 870, 27 Oct. 1965, p. 1246, 9 May 1963, p. 347, 26 Aug. 1964, p. 240, 8 Mar. 1966, p. 13, 5 Oct. 1965, p. 792, 4 Mar. 1964, p. 209, 25 Nov. 1969 (R), p. 15; Age (Melb. ), 29 Mar. 1969, p. 17; Australian (Syd. ), 29 Sept. 1969, p. 3; Samuel Cohen, ‘Education in the 70s’, John Curtin Memorial Lecture, 1967, viewed 12 Mar. 2009, <http://john.curtin.edu.au/jcmemlect/cohen1967.html>; Age (Melb. ), 4 July 1968, p. 8. Ross McMullin, The Light on the Hill: The Australian Labor Party 1891–1991, OUP, South Melbourne, 1991, p. 321; CPD, 25 Nov. 1969, p. 11, 25 Nov. 1969 (R), p. 16; Age (Melb. ), 29 Jan. 1963, p. 5; Australian (Syd. ), 13 Apr. 1968, p. 2; Advertiser (Adel. ), 8 Oct. 1969, p. 1; Sun News-Pictorial (Melb. ), 9 Oct. 1969, p. 13; Age (Melb. ), 10 Oct. 1969, p. 8; Australian (Syd. ), 10 Mar. 1970, p. 2; Leonie Star, Julius Stone: An Intellectual Life, OUP/SUP, South Melbourne, 1992, p. 201; R. J. Hawke, ‘Masada, Moscow and Melbourne’, Inaugural Sam Cohen Memorial Lecture, 6 Oct. 1971. This biography was first published in The Biographical Dictionary of the Australian Senate, vol. 3, 1962-1983, University of New South Wales Press Ltd, Sydney, 2010, pp. 63-67.